Experience one of nature’s most majestic wonders in style. This three-and-a-half-hour tour is perfect for visitors who are crunched for time, but looking for the ultimate Las Vegas experience! Your Las Vegas Silver Cloud Tour tickets include complimentary transportation to and from your Las Vegas hotel. Enjoy a quick trip to the Las Vegas Blvd. 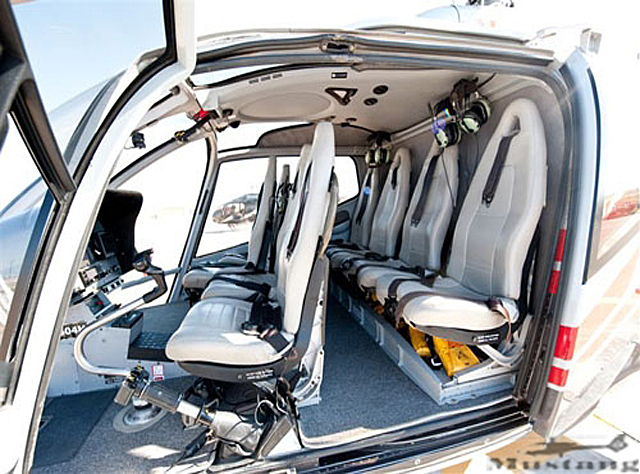 helipad where you will board a state-of-the-art aircraft designed specifically for sightseeing. As you soar above the city, your experienced pilot points out significant landmarks such as Lake Mead, which is the largest man-made lake and reservoir in the U.S., Hoover Dam, extinct volcano Fortification Hill and the Colorado River. Enjoy breathtaking views of the Grand Canyon as you make your way over the West Rim. Owned by Hualapai Indian Tribe, the West Rim occupies close to one million acres of the canyon and is home to the famous Skywalk. Known for its stunning vistas, historic rock formations and brilliant hues, the West Rim is one of the best areas to experience the majesty of the Grand Canyon. As you fly back through the canyon on your way back to Las Vegas, keep an eye out for wildlife, including the elusive bighorn sheep. Your tour concludes with an exciting pass over historic downtown, the Fremont Street Experience and past the mega-resorts and famous landmarks on the Las Vegas Strip. Get your Las Vegas Silver Cloud Tour tickets from VEGAS (the app) today for a quick tour of one of the most majestic wonders of the world that will have you back to the Strip in time for dinner and a show! This excursion includes complimentary transportation to and from hotels within five miles of the Las Vegas Strip. This Silver Cloud Helicopter Tour is an air only tour, and DOES NOT land at the Grand Canyon. All tours are operated under a FAA 135 operation. There are no daily scheduled times as we are an on demand operator. We will do our best to accommodate your time request.